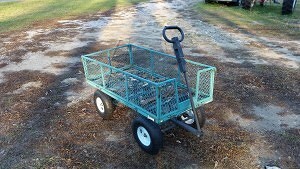 For a year or more we have had a small utility wagon from Tractor Supply Company. 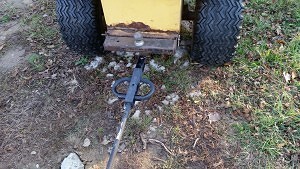 It has turned out to be very handy for hauling things around our property. 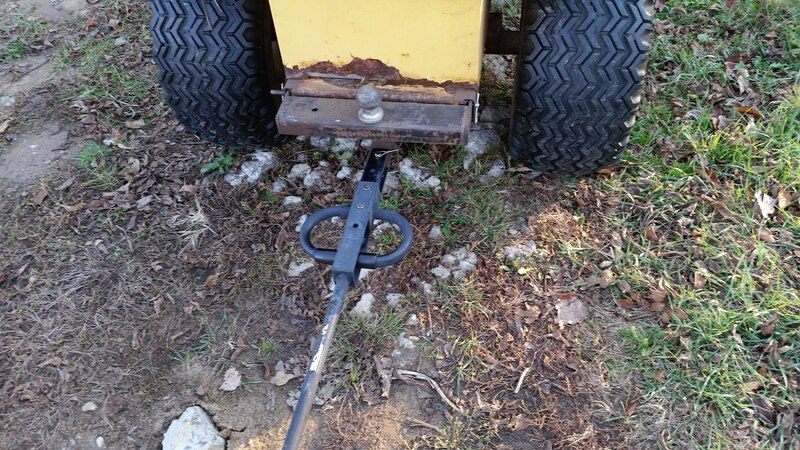 The clever thing about it is that there is a ring handle that flips around to be a pin hitch that goes behind a ridding mower or garden tractor. It has hauled chicken food, firewood, cement blocks and many other things. The sides do drop down to turn it into a flatbed, however I have not had a reason to use this feature. It is rated for some crazy amount of weight, something like 1,000 lbs. However you would have to be hauling something like lead to get that much weight in the volume of the wagon. Also it is a wire mesh body so louse stuff like dirt or gravel would not work. But I’m finding I like it better than a wheel barrow for most of what I need to do.